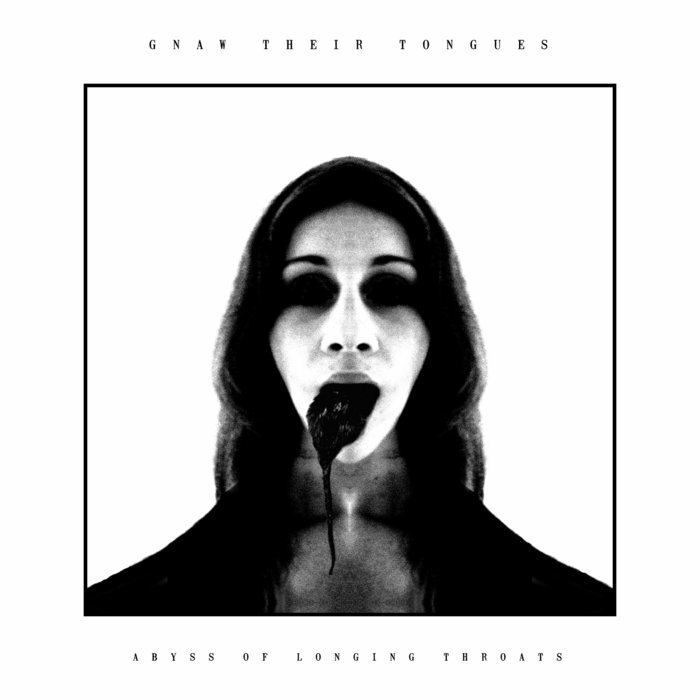 Netherlands's solo project Gnaw Their Tongues have returned with a new recording that continues his mixture of black metal, experimental, noise and industrial and this is a review of his 2015 album "Abyss of Longing Throats" which will be released in August by Crucial Blast. A very dark sounding drone starts off the album along with some distorted guitar riffing which also leads to grim and high pitched black metal screams being added onto the recording that also have a very depressive tone them at times and the music also brings in atmospheric elements along with a great portion of the tracks being very long and epic in length. Demonic growls can be heard at times and when synths are utilized they make the songs more dark and experimental and the music also brings in industrial, noise and avant garde elements and you can also hear all of the musical instruments that are present on the recording and when the music speeds up a great amount of blast beats are added onto the album. The songs also keep the doom metal influences that where a huge part of the previous recordings and some of the songs also bring in a great mixture of slow, mid paced and fast parts along with the faster sections bringing in more of a raw black metal style and there is also a brief use of spoken word samples present on the recording while later tracks also bring in elements of classical music. Gnaw Their Tongues continue the experimental style of black and doom metal that was present on recent recordings while also creating more longer songs this time around, the production sounds very dark and heavy while the lyrics cover dark and blasphemous themes. In my opinion this is another great sounding recording from Gnaw Their Tongues and if you are a fan of this musical project, you should enjoy this album. RECOMMENDED TRACKS INCLUDE "Lick The Poison From The Cave Walls" :"From The Black Mouth Of Spite" and "And They Will Be Cast Out In Utter Darkness". 8 out of 10.